What is CBN and What Are the Effects of This Cannabinoid? 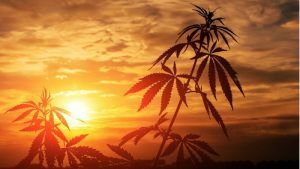 Up until recently, we’ve known very little about cannabinoids other than CBD and THC, but as scientists are digging deeper into the plant’s health benefits, it appears that CBN (cannabinol) may become the next shooting star. There are at least 113 different cannabinoids in the cannabis plant — this is how many have been identified so far — but we’ve known relatively little about the compounds other than THC and CBD up until now. As times are changing, so is our knowledge about the herb and its compounds. 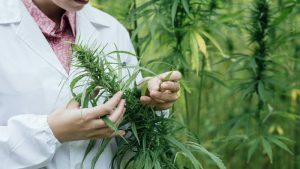 The progressing cannabis legalization in the United States encourages scientists to dig deeper into the biochemistry of hemp and marijuana. As it turns out, the so-called “minor cannabinoids”, such as CBG, CBC, and CBN, are not as irrelevant as people may think. In fact, they all contribute to something called the “entourage effect” — a concept that suggests the cannabinoids have a stronger effect when they work together. In this article, we talk exclusively about CBN, its benefits and legal status, how it differs from THC and CBD, and how to get more CBN from your marijuana flowers. CBN, short for cannabinol, is a mildly psychoactive compound in marijuana. In other words, you won’t find CBN in hemp, as this particular cannabinoid is a breakdown product of tetrahydrocannabinol (THC), marijuana’s most abundant constituent. As the THC in marijuana buds age, it transforms into CBN through a process known as THC-oxidation. According to early research, CBN could provide a range of medical benefits, similar to those provided by THC and CBD. Studies indicate that CBN may have antibiotic, anticonvulsant, and anti-inflammatory properties. Unfortunately, CBN is only present in minuscule amounts, even in a dried plant. Its levels rarely reach 0.5%, but you can make it more abundant by storing your cannabis improperly for a long time — allowing any THC to breakdown into CBN. What are the Differences Between CBN, CBD, and THC? To begin with, CBN is less abundant than the major cannabinoids THC and CBD. While CBD or THC levels in selectively bred strains can reach up to 30%, the amount of CBN rarely surpasses the one-percent mark. Luckily, you don’t need much cannabinol to experience its benefits. Despite being a byproduct of THC’s degradation, CBN shows very little psychoactivity. It may provide sedative effects, but you won’t feel high or stoned. On the contrary, it can even reduce the potency of marijuana. This is why aged marijuana generally has less psychoactive effects than fresher buds. Unlike THC and CBD, CBN doesn’t seem to have a direct influence on the endocannabinoid system. It’s a weak partial agonist of the CB1 and CB2 cannabinoid receptors. Currently, researchers have yet to understand the metabolic effects of cannabinol in contrast to THC and CBD, both of which have far more research behind them. Have you ever wondered why your old weed makes you so sleepy? That’s how cannabinol works. This compound is produced gradually over time as your marijuana ages and THC turns into CBN. What’s left is a weed with potent sedative properties that may help you improve the quality of your sleep, relieve pain, increase appetite, and more. The degradation of THC begins with the harvest when the cannabis plant is collected and stops receiving nutrients from the roots, impairing the biosynthetic pathways of cannabinoids. Once that happens, the psychoactive properties of marijuana are subsequently weakened. Keep in mind that raw cannabis contains THC in its inactive form (THC-A), so when raw weed ages, the THC-A turns into CBN-a, short for cannabinolic-acid. If you want to boost CBN levels in your weed, you need to expose it to the air and give it time to oxidize. This is the same effect as storing your weed incorrectly. As THC oxidizes and becomes CBN, the buds of your weed may go “stale” due to the larger amounts of cannabinol. Of course, they will lose their bag appeal, but you’re getting the potential benefits of CBN to compensate for this downside. CBN and THC are almost identical on a molecular level. If it wasn’t for the four extra hydrogen atoms in THC, their chemical makeup would be exactly the same. 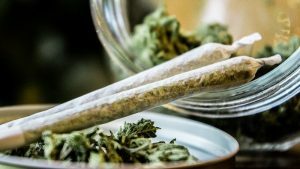 According to a study conducted by the United Nations Office on Drugs and Crime, THC concentration in an exposed sample can decrease two times over a four-year period, with the fastest degradation level during the first two years . CBN might not be psychoactive in a way we define this quality in marijuana. It won’t make you feel high, euphoric, or very hungry because it’s not as strong an agonist of cannabinoid receptors as THC. It does, however, have powerful sedative effects which might explain the questions about its psychoactive properties — at least in part. There are plenty of benefits to using CBN. First and foremost, this cannabinoid is a powerful sedative agent — it’s more potent in this matter than any other marijuana compound. CBN can help you get a good night’s sleep without the side effects of prescription sleeping pills. The first records of the sedative properties of cannabinol date back as far as 1975, followed by a 1995 study on insomniac mice where it proved its efficacy in relation to improving the quality of sleep [2, 3]. Given this, one of the main medical applications of CBN is to treat insomnia. You can enhance these effects with THC-rich marijuana strains that also contain CBN and the terpene known as myrcene. Some medical cannabis patients use cannabinol in conjunction with higher doses of CBD to potentiate its sedative properties. Aside from being a powerful sleeping aid, CBN may ameliorate a wide range of health concerns. Below you’ll find other therapeutic effects of cannabidiol backed by studies. A 2008 study found that CBN causes the death of methicillin-resistant Staphylococcus aureus bacteria (MRSA), which is responsible for triggering an array of potentially harmful infections . Cannabinoids have been used to fight epilepsy and seizures for a while now. CBN has been found to exhibit anti-convulsing effects in various studies conducted on animals. However, the studies also concluded that these properties are weaker than in THC and CBD . Early research suggests that CBN may have powerful anti-inflammatory properties. Studies run on rodent models have shown the cannabinoid’s ability to effectively curb inflammation in mice. .
Another study on animal models (rats) that consumed CBN found that the rodents who were exposed to higher doses of CBN also consumed larger portions of food more frequently. The possible reason behind CBN’s impact on appetite is its affinity to the CB1 receptor. CBN may prove a decent alternative for THC in boosting appetite due to far weaker psychoactive effects . In his work “Taming THC”, cannabis expert Dr Ethan Russo discusses the potential influence of CBN in triggering stem cells in the bone marrow. While he underlines that this is only a theory that would have to be further proven, this would mean there’s a chance that CBN could help speed up bone formation and regeneration processes . Cannabidiol targets cellular pathways that promote tumor growth. Research has found that CBN can bolster marijuana’s anti-cancer effects and reduce Lewis lung carcinoma, a type of lung cancer . Psoriasis is an annoying skin condition that creates flaky, crusty patches of skin that are covered by white-gray scales. According to preliminary research, CBN is capable of decreasing keratinocyte (a type of skin cell) proliferation. These cells became hyperactive in psoriasis sufferers, which is the main reason behind the creation of those flaky skin patches. Since CBN reduces this activity, it may actually treat your skin condition . As mentioned, CBN is a weak CB1 and CB2 agonist meaning it has very little influence on these cannabinoid receptors. However, as a byproduct of THC’s degradation, it can alter your pain perception. For example, CBN triggers the release of peptides from sensory nerves which dampens pain sensation. 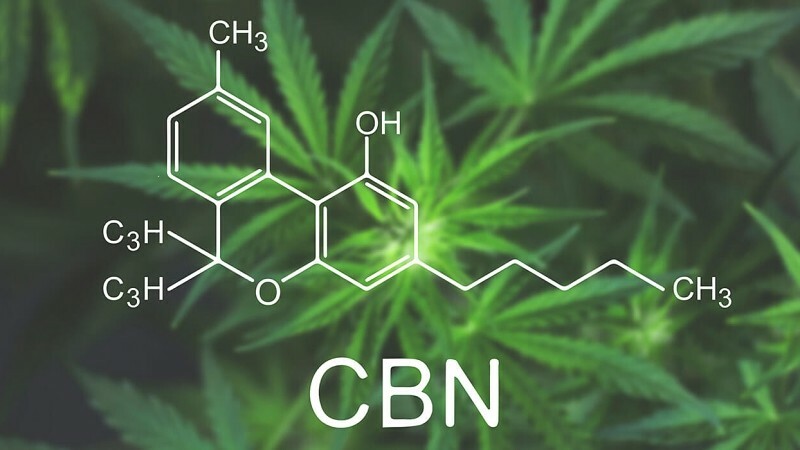 Researchers speculate that the analgesic effects produced by CBN are independent of CB1 and CB2 receptors and result from the compound’s interaction with another cannabinoid receptor we have yet to discover . 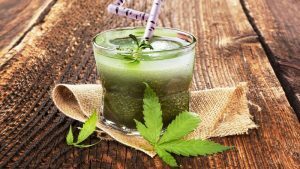 The waters are murky when it comes to the legality of marijuana’s compounds, even though the plant remains illegal in many places across the world. THC, the main psychoactive ingredient, is the main bone of contention and the reason why so many countries have banned marijuana within their borders. 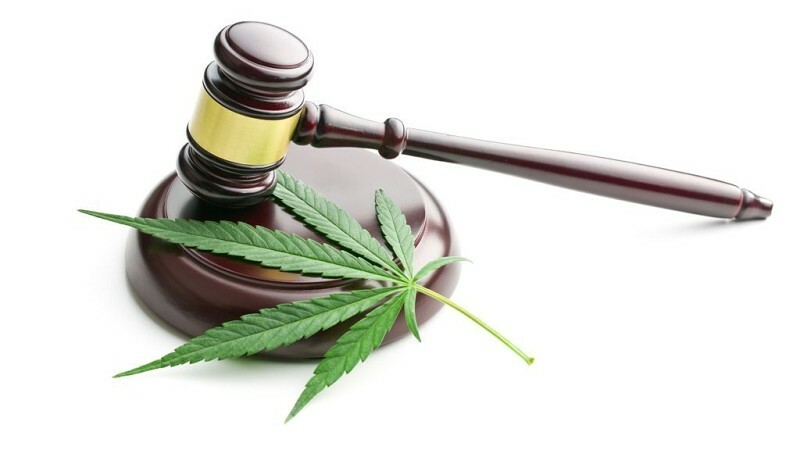 As CBN is the byproduct of THC oxidation, it’s logical to assume that the compound is illegal in the same places where THC has been prohibited. However, CBN is not present on the list of scheduled controlled substances, so its legal status isn’t as clear as you might expect. But then again, cannabinol comes from THC, which, in turn, is a Schedule I substance, so even if cannabinol itself were legal it would be risky to source it because it would call for large quantities of weed. There are a few marijuana strains with reasonable CBN content. You’ll be lucky if your strain has more than 1% cannabinol. How to Get More CBN From Your Flowers? The easiest way to get CBN from your weed is to age it. Marijuana and hemp growers often use the color of the trichomes to determine harvest dates. The trichomes begin clear and gradually become more cloudy as they ripen. As they become overripe the trichomes begin turning amber in color. Growers that want to boost CBN content need to wait until most of these trichomes have turned amber before harvesting. Now we need to discuss the extraction process of CBN. The other way to do it is to store your weed “incorrectly” to allow the THC to oxidize. Poke several holes in the top of the jar to give your weed access to air. Watch your buds to ensure they don’t become too died or stale. 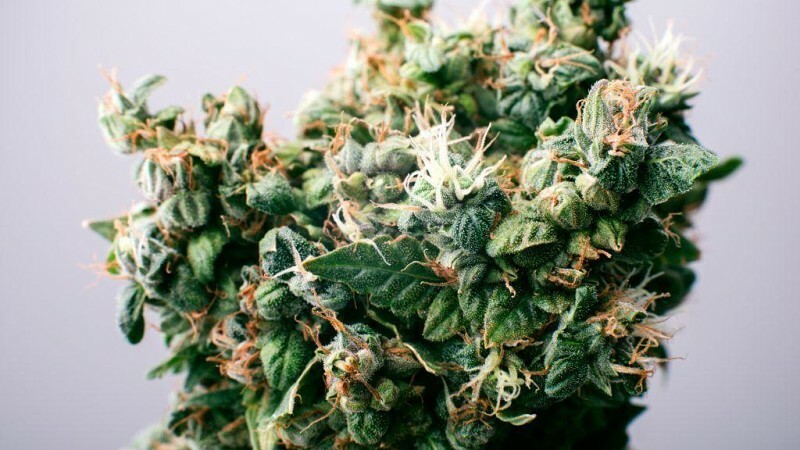 If the buds are drying too fast, place them in an airtight container and move them to a cool and dark place. Wait about 30 days or more. Now you should have more CBN in your weed. CBN Oil: Is it Real and How is it Made? Yes, CBN oil is a real thing, and as you can probably guess, this product is a result of extracting CBN from the marijuana plant. As no marijuana plant doesn’t naturally come with significant concentrations of the compound, it’s necessary to let the buds age first. After the oxidization process, you can begin the extraction. The good news is that you don’t need CBN in abundance to feel its effects. If you intend to make CBN oil, make sure you wait beyond the regular harvest time before the extraction. As soon as the trichomes turn amber or yellow, it’s an indicator that the plant has enough CBN. Please keep in mind that CBN’s boiling point is 365 F — a bit higher than the boiling point of THC. If you want to get the most out of your CBN, we suggest that you look for companies with expertise in aging, curing, and drying marijuana rather than doing it on your own. Up until recently, most of our attention was focused on THC and CBD, but as it turns out, we shouldn’t overlook the immense medical potential of the so-called “minor cannabinoids” such as CBN. Cannabinol is arguably the best natural sedative on the planet and because it only shares a small portion of THC’s psychoactive effects, it won’t get you high. If you want to try CBN for yourself, the easiest way is to let your marijuana go stale so its THC can transform into CBN. Extracting CBN from weed takes some time and practice, so perhaps it’s best to look for CBN-infused products online. If you suffer from insomnia or believe that the quality of your sleep leaves a lot to be desired, cannabinol could help you throw away your sleeping pills and embrace the power of herbal sedation. Alternatively, you may use CBN to get relief from convulsions, inflammation, and bacteria among other ailments. Have you ever tried aging your marijuana for the purpose of increasing its CBN content? What’s your take on the benefits of this cannabinoid? Let us know in the comments below!